Lovely versatile file, thank you so much. Thank you Shirley for this beautiful cut file. Anyone receiving this card would feel loved! Merci Shirley pour le partage de cette magnifique découpe. J'aime beaucoup. Thank you. I love the versatility of this card. Love the butterfly overlay card, Shirley! Great job!!! Thank you so much I will find this one very handy. 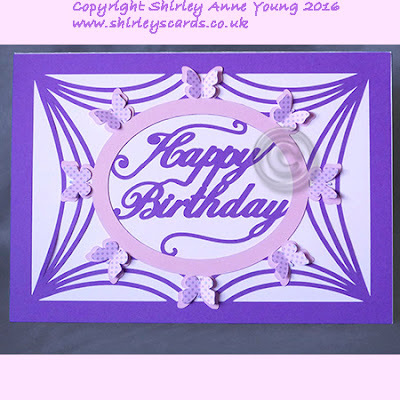 Also it could be used sideways on and you could stamp a verse or even insert a small picture or photograph behind the butterfly frame. Yes! Shirley a VERY versatile design, thank you so much. 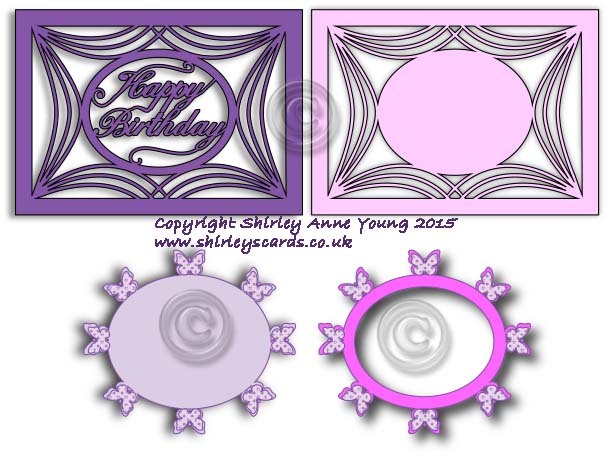 Thank You Shirley, I find it so difficult getting cards for my sons. This will be just the trick.